The first time we visited Pies-N-Thighs for brunch they were out of donuts. Out of donuts. Nooooooooo. Sad. Our second brunch attempt was more successful. 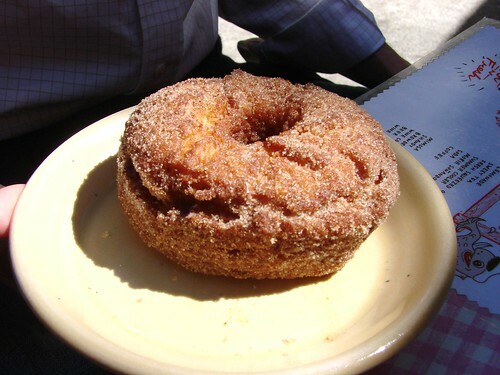 And we were rewarded for our efforts with a luscious, sugar coated cake donut ($2). Lesson learned: The early bruncher gets the donut. I would go back for these (and the Fried Chicken and Biscuit Sandwich) anytime.